Our conscientious approach measures our success and commitment to our respected clients. We created a clear and practical methodology which emphasize our vision to provide a highly qualified service by understanding client’s business and it’s respective demands. N.A. 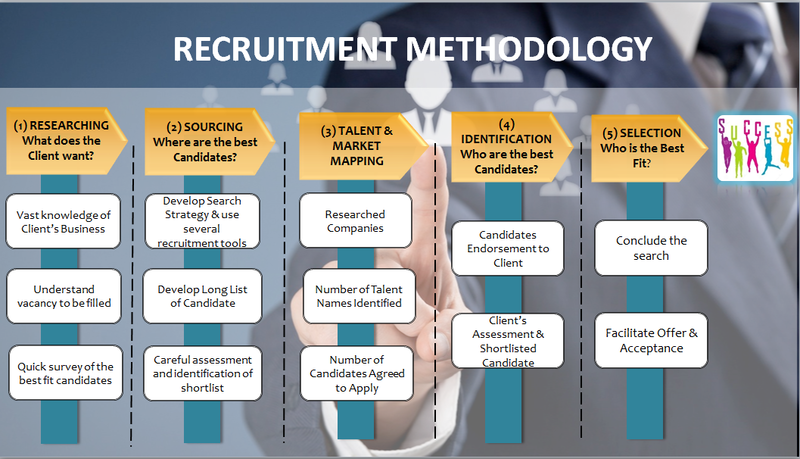 Topjobs uses an appropriate mix of search methods and recruitment tools to identify the desirable candidates. With our candidates. We understand that changing jobs can be stressful. The support of a professional and experienced recruitment firm can help make the transition process a smooth one. If you wish to know more on how our services can help you, please feel free to contact us at: Tel: 08 62926671 - 0862926672 or send email to recruitment@natopjobs.com.vn.